Merzhoev Magomed Bukharievich, 1968. kidnapped in May,16, 2005. 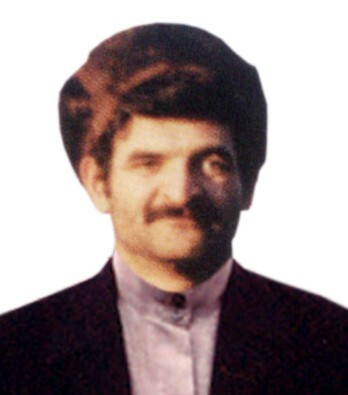 In May, 16, 2005, at about 06:20, in Karabulak,Ingushetiya,armed members of power structures kidnapped a native of Ingushetiya,Magomed Merzhoev,registered in Ordzhonikidzevskaya street, № 12, Plievo settlement but in fact,living in «Burploshadka»,Karabulak. During the first russian-chechen war,Magomed took part in it against federal troops. He was wounded and lost right hand. After getting amnesty,he started peaceful life. Magomed is married and has two little children (in age of 1,5 and 4 years old). Magomed was kidnapped from territory of keramzite factory,where he worked as a watchman. The only witness of the incident,a watchman of neighboring organization,informed Magomed’s relatives that he saw three autos – two autos were «VAZ-2107″,dark-cherry color and green color and a car «UAZ-469″ with darken glasses,accompanied with armoured troop carrier. Magomed’s relatives applied to the republican procuracy,Karabulak procuracy and town department of internal affairs,as well to RF FSB bureau on Ingushetiya.No the departments did confirm their implication to Magomed Merzhoev’s kidnapping. Karabulak procuracy instituted legal proceedings by fact of Magomed Merzhoev’s kidnapping. Up to now,the location of Magomed Merzhoev has not officially established. But his relatives started searching on their own and found out that several days before Magomed’s kidnapping,a militaryman came to the factory territory and was interested in building materials prices. The militaryman came in an auto «VAZ-2107″, dark-cherry color (the similar auto was seen early in the morning in the day of Magomed’s abducting).The militaryman spoke russian with strong accent,presumably dagestanian. He was camouflaged. Owner of the keramzite factory,Idigov,seemed the man to be suspicious and he followed him when the militaryman left. According to Idigov’s words,the auto came on the territory of the republican OMON station in Karabulak. Magomed’s relatives also learned that he was kidnapped by federal and chechen power structures members. As well,it is known that Magomed Merzhoev was brought to military base in Khankala settlement in Chechen republic and then to Vladikavkaz.